The next stage of the LM checks required the crew to think about the concept of the dead band, which is another of those curious terms in spaceflight where a simple concept lay behind opaque jargon. Apollo was one of the first applications of a digital fly-by-wire system whereby control of a vehicle was placed in the hands of a computer. 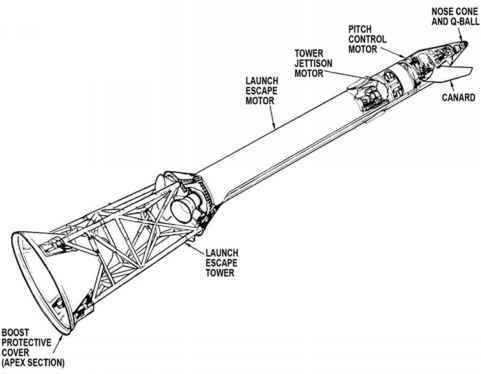 In the Apollo guidance computer, programmers included a series of algorithms that would fire the RCS jets as necessary to bring the spacecraft to a desired attitude, with respect to the IMU platform, and hold it there. These algorithms were called the digital autopilot (DAP). However, the gimbals around the platform were able to measure the angular error in the spacecraft's attitude to hundredths of a degree, and constantly correcting the slightest drift to such a tight tolerance would have made the spacecraft seesaw backwards and forwards as the jets constantly fought to maintain the ideal attitude, wasting propellant in the process. Instead, a range of attitude error around the ideal was deemed acceptable and the thrusters did not fire within this band; they were said to be 'dead'. This error band, the dead band, could be set to be either % or 5 degrees from ideal, depending on how accurately the spacecraft had to be pointed. A narrower dead band used more RCS fuel, because the thrusters tended to fire more often when the spacecraft drifted beyond the small permissible deviation. While still docked, the commander gave the LM's RCS system a checkout, first by using the computer to test that the hand controls were producing the commands expected of them, the so-called 'cold-fire' checks; and then by firing all 16 thrusters for short periods in a 'hot-fire' test. Prior to carrying out these tests, he had to ensure that his crewmate in the command module had the CSM's digital autopilot set for a wide, 5-degree dead band. That is, although overall the thruster firings - fore/aft, left/right, etc. - should be neutral, they would briefly rotate the entire CSM/LM stack by a few degrees, and it would have been a waste of propellant if the thrusters on the service module had to battle to restore attitude. The commander also ensured that telemetry from the LM was being sent to mission control at a high bit rate. This maximised the number of engineering parameters that could be received while the health of the RCS was checked. Almost like a third eye on the forehead of the LM's face, another dish sprouted from the ungainly LM cabin, preferring a direction that faced forward. This was the antenna for the rendezvous radar, one of the subsystems that allowed the ascent stage to seek, find and follow the CSM as it chased the mothership around the Moon during the rendezvous. The radar operated in conjunction with a transponder on board the CSM to tell the LM's computer how far apart they were, and in which direction. As the commander put it through a self-test routine, the final steps towards undocking were completed.